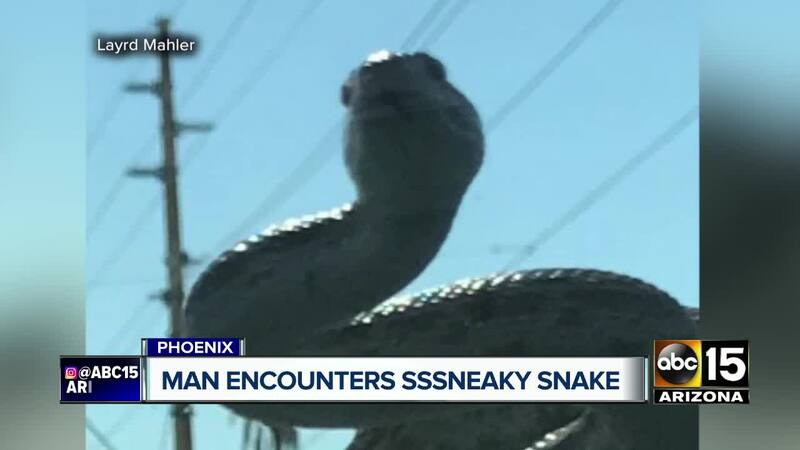 Layrd Mahler had quite the Monday morning as he was driving in Phoenix when a snake emerged from his car hood. 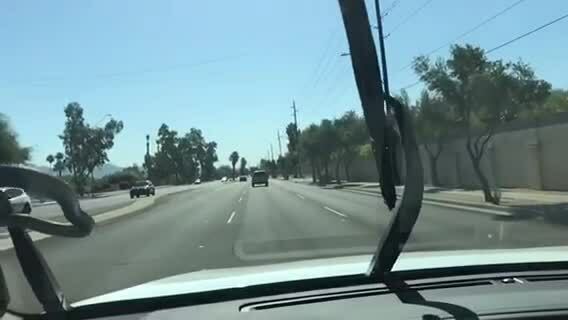 Layrd Mahler had quite the Monday morning as he was driving in Phoenix. Mahler said he was driving on Monday he saw a head poke out from under the hood of his SUV. He thought it might be a lizard. "After that, I see the body of a snake go up the windshield," Mahler said. Mahler said he then tried to use the windshield wipers to get rid of the snake, which he believes is a bullsnake. Instead, the snake outsmarted him, latching on, and retreating back under the hood. Mahler then pulled over and couldn't find the snake. "Now I'm debating 'do I get back in the car?" Mahler said. "I don't know if it's going to go through the vent system because they can do that. Or, do I just man up and drive home? So that's what I did." Mahler says once at home he sprayed down the engine, and then had an animal control company come help. The snake was never found. Did it escape? Is it still in the car? Those are questions Mahler is left to wonder. "I've basically given myself a pep talk every day to say 'Ok, be prepared if something pops out," Mahler said. "That's the best I can do I think." Perhaps no surprise, but Mahler says he's never seen anything like this before, chalking it up to an Arizona summer. "It wasn't a sense of panic, it was just, 'this is really coming out of my car, this is crazy," Mahler said. "It's something you see on TV, so to speak."